Sanctuary Retreats was born in Africa in 1999 with the launch of a luxury Kenyan safari camp. The business expanded into the upmarket small-ship sector in the Galapagos followed by China, Egypt and Myanmar. With a commitment to conservation and responsible tourism, Sanctuary Retreats Philanthropy (SRP) is a nonprofit organization that identifies and supports self-sustaining community projects in the areas in which it operates. 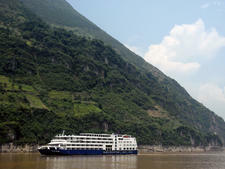 Sanctuary Retreats primarily attracts English-speaking passengers and offers river journeys in China, Myanmar and Egypt. From its beginnings in rural Africa, the line offers a deluxe experience combined with ethical tourism. Where possible the company uses locally sourced materials and indigenous craftspeople. All the ships boast very high standards of decor and facilities and a stand out feature is the low number of passengers, which Sanctuary says creates a "private, club-like atmosphere". That said, the ships are not just the preserve of couples as families are welcome, with varying age restrictions depending on the itinerary. Sanctuary sells itself as offering "luxury, naturally", with culture-rich cruises that have been developed in sympathy with the surroundings. Passengers can expect top notch dining, including buffets, sun deck barbecues and elegant a la carte dining with drinks included - again dependent on the specific itinerary. Amenities four-poster beds and pools with private cabanas on some of the Nile ships and a spa on the China vessel. Each itinerary will include authentic experiences such as tai chi, cookery and calligraphy classes in China, and an "a la carte" sightseeing menu to pick and choose tours of ancient Egyptian sites. Sanctuary Retreats attracts well-travelled, socially and culturally aware couples and families from around the globe who are looking for an exclusive yet authentic experience. The fleet currently consists of six cruise ships. In 2008 the company introduced the 300ft Yangzi Explorer to its portfolio. Carrying 124 passengers, compared to the 300 plus accommodated on similar size vessels, it offers an extraordinary 1:1 passenger to crew ratio that is the highest on the river. The 62-cabin ship sails on three and four-night cruises. 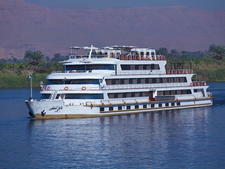 Sanctuary's four Nile ships are the Nile Adventurer (launched 1991 and fully refurbished in 2009), Sun Boat III (launched in 1993 and refurbished in 2005), Sun Boat IV (launched in 1996 and refurbished in 2005) and Zein Nile Chateaux (launched in 2010). The 218-foot Nile Adventurer has 32 cabins, the 200-foot Sun Boat III has 18, 236-foot Sun Boat IV has 40 and the 164-foot Zein Nile Chateaux has 21. 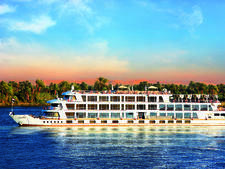 The vessels sail on three to seven-night itineraries between Luxor and Aswan and all of them are family-friendly. Every summer all vessels are taken out of service for a minimum of three weeks for a full minor refurbishment that includes wall painting, wood varnishing, re-upholstery of furniture and other work. 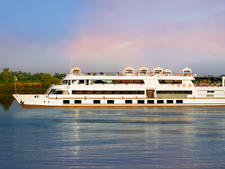 Launched in November 2014, the 48-passenger Sanctuary Ananda is being marketed as the only all-balcony, all-suite ship on Myanmar's Irrawaddy River. 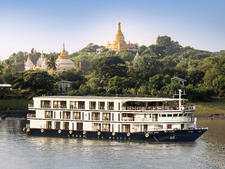 It will sail on eight itineraries -- ranging from three-night discovery cruises between Bagan and Mandalay to 11-night exploration cruises. These cruises take the passengers right to the hear of the place they are visiting, embracing the authentic, the local and the historic. Each excursion offers the chance to experience the very raw nature of each place.